Ultherapy is non-invasive, non-surgical treatment that uses ultrasound energy to lift and tighten skin. Areas we apply this treatment includes the jawline, brow, neck and décolletage to achieve natural looking results. It is an excellent treatment to tighten and rejuvenate the skin creating a more youthful appearance. Ultherapy is often described as a facelift without surgery or a ‘lunchtime lift’ because of the speed and effectiveness of the procedure. Our clinic is an Ultherapy Centre of Excellence and Dr Tailor and her team at Health & Aesthetics has a wealth of experience in delivering this treatment. Appropriate pain relief will be provided before treatment. Bell’s Palsy. Muscle weakness. Metal pins and plates in the face. Skin disease in the treatment area (acne, eczema, psoriasis, cold sores) in the area being treated. Pregnancy. Breast-feeding. Mild swelling and tenderness. You should be able to return to normal activity within 24 hours. At 8 weeks the skin tone is improved. Later there is less sagging with best results at 6-8 months after treatment. Anyone with sagging, jowls and laxity at the jawline, neck and forehead. Prices range from £150 for lips to around £4700 for full face and neck with all depths of the skin treated. Please contact the clinic for more information. HOW DOES ULTHERAPY TREATMENT WORK? Ultherapy works by gently heating the deep tissue below the skin using a handheld ultrasound device. Then you can see images of the tissue layers on screen so that the therapist can accurately view and target the areas in most need of treatment. Then we direct the ultrasound energy to precisely the right depth, which stimulates the production of new collagen and elastin, tightening and rejuvenating the skin. WHICH AREAS DO WE TREAT USING ULTHERAPY? Ultherapy lifts and tightens the brow, jawline, neck and décolletage. It is the only FDA approved treatment of this type, which means it is safe and effective and went through thorough trials. The results are almost as good as a surgical face lift and it is an excellent alternative ‘face lift’ or ‘neck lift’ for those who don’t wish to have surgery. Ultherapy can also be used to prolong the effects of previous cosmetic surgery. You will experience mild discomfort while the ultrasound treatment is being delivered. However, this can be minimized by taking painkillers an hour beforehand. You can return to normal life immediately and no-one will know that you have had treatment. At most the area may feel a little tender and/or slightly swollen after treatment. There may also be some redness for 1-2 hours. But that is all – no needles or incisions are used. It really is now possible to have a lunchtime lift! A full-face treatment takes 90 minutes. 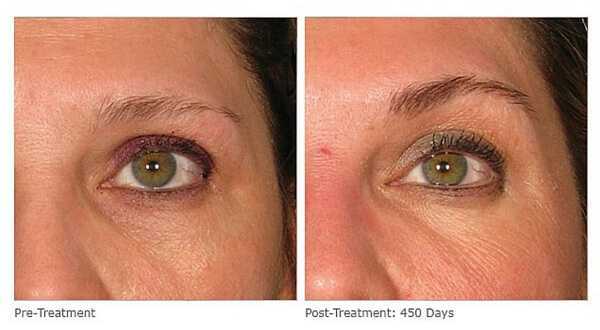 A partial treatment, or brow lift, takes 45 minutes. Most patients need only ONE treatment. Occasionally more may be necessary, depending upon the laxity of the skin and facial tissues. This will be discussed at your consultation and follow-up appointment. You will see an improvement in your skin tone after about 4-8 weeks, followed by a gradual improvement in the tightness of your skin (including less sagging) as the new collagen and elastin take effect. Some people will produce more collagen and elastin than others so it can be difficult to predict exactly how your skin will look. However, optimum natural looking results can usually be seen around 6-8 months after treatment. Results typically last for around 18 – 24 months but we do recommend a maintenance treatment every 12 – 18 months. Research may lead to even longer lasting results in the future. WOULD I BE SUITABLE FOR ULTHERAPY TREATMENT? Ultherapy can rejuvenate saggy skin in areas such as the brow, jawline, neck and décolletage. This treatment is ideally suited to those in their late thirties and early forties with a mild to moderate degree of skin laxity. Those with a lot of sagging and laxity would achieve better results via surgical treatment. However, if you fit into this category but do not wish to undergo surgery, you would still benefit from Ultherapy treatment. You will just not see quite as significant results. Ultherapy can prolong the effects of previous cosmetic surgery. CAN ULTHERAPY BE USED ON ALL SKIN TYPES? Yes, Ultherapy is effective on all skin types and there is no risk of hyperpigmentation. ARE THERE ANY CIRCUMSTANCES WHEN WE SHOULD AVOID ULTHERAPY? Yes, for example if the patient suffers from collagen or immune disease, severe thinning of the skin or extensive sun-damage. Ultherapy is less effective in overweight patients or those with severe skin laxity. During the ageing process, the skin begins to lose collagen and elastin, which are responsible for firmness and elasticity. This results in sagging and drooping of the skin. Recent studies have shown that heating the deeper tissues of the skin stimulates a healing response and prompts the production of new collagen and elastin which have a long-term lifting and tightening effect. Ultherapy is unique in using focused ultrasound energy to target deep within the tissues while leaving the surface of the skin completely unaffected. WHY IS ULTHERAPY BETTER THAN OTHER TECHNOLOGY? Ultherapy has US FDA Clearance* and European CE Mark IIa. In order to achieve this, the device has undergone numerous clinical trials, over a long period of time, to demonstrate that it is safe and effective. To date, over 1,000,000 Ultherapy treatments have been carried out worldwide. The Ultherapy machine scans and visualises the tissues live before we deliver the ultrasound, therefore, we can target the treatment very precisely and stimulate new collagen and elastin formation exactly where needed. *This is the ONLY device that has this clearance and health + aesthetics is the first clinic in Surrey and Hampshire to have it. Hence, we have great skill in delivering the treatment. IS THERE ANY OTHER TECHNOLOGY WHICH CAN DELIVER THE SAME RESULTS? Please be aware that there are copy devices on the market. However, these devices do not have FDA clearance so have no safety or evidence data to support them. These machines do not scan therefore cannot deliver ultrasound energy precisely. This means they could cause long-term harm and/or not deliver results. ARE CHEAPER ULTHERAPY TREATMENTS AS EFFECTIVE? Some clinics may offer cheaper Ultherapy treatments but this can be misleading. Often these treatments are not a bargain at all. Cheaper treatments generally deliver fewer shots of energy than we do, which means longer-term results may not develop. ULTHERAPY - I WAS DELIGHTED WITH THE RESULTSI felt both anxious and excited before my treatment. I have always been self-conscious about my neck so I was extremely excited to have the procedure and see the benefits. For a couple of weeks after the treatment, I felt a little numb and bruised but there was no visible bruising. I was so pleased seeing my before and after photos, there was definitely a large difference from just 12 weeks and I was delighted with the results. My neck along with my face had noticeably changed shape. I would highly recommend this procedure!Female patient ULTHERAPY - I WAS DELIGHTED WITH THE RESULTS - ?